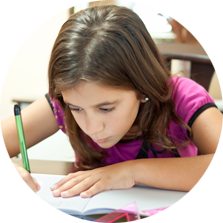 Each child is paired with a highly qualified tutor from New York City's schools. We're committed to working closely with each child and their family to ensure success. Our reading instruction is phonics based and incorporates various multi-sensory reading programs. We create a child-centered curriculum based on each child's individual needs and abilities. 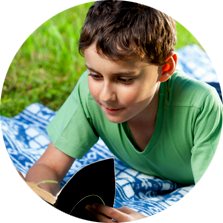 We assist children in summer reading, summer reading projects and reports. We introduce the best applications and games to provide an interactive, yet educational experience for your child. These apps made for your iPhone and iPad will keep your child's mind active after the tutoring session is complete. We meet the child and parent for a one hour session at a time and place that is convenient for you. We will discuss goals and conduct informal assessments. This not only gives us a strong understanding of the childs educational needs, but allows time for the tutor and child to introduce themselves before getting started. We select neutral locations at nearby public libraries for one-on-one session, or we can come to the parents home . How do you assess progress? The formal and informal assessments given will drive the individualized instruction. We track each student's progress by keeping a portfolio of the skills we are targeting to improve. After the initial meet and greet, we can assess the frequency and duration of sessions based on the goals of the parent and child. We typically recommend 4 sessions per month. ©2016 SunshineTutoring.com. All rights reserved.